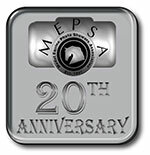 We invite you to enjoy an online gallery of MEPSA Champions from our past International Championships. Our thanks to the owners* of these models and photos for allowing us to share them with you. *If your horse/photo is pictured in the Gallery, and you wish them to be removed, please contact us and we'll take care of it immediately! © 1997-2015 MEPSA. Text and images on this site may not be copied, reproduced or used in any other manner without written authorization. Questions about this site should be sent to the webmaster. For general MEPSA or specific program questions, please see our Officers page.